Little Neck at it's Best! 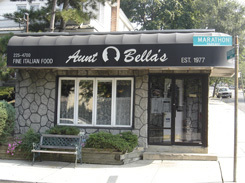 If you are looking for a relaxing atmosphere, excellent service, and the finest Italian food in Little Neck, then Aunt Bella's is the place for you. Since 1977, we have been making generations of families feel welcome into our home. Our menu features regional Italian cuisine along with daily specials, both pleasing to the eye and palate. If you are in the mood for an authentic Italian sandwich, you will have several different choices, including our meatball parmigiana and sausage and peppers sandwiches. We also bake the most delicious pizza in town on our premises. Choose from toppings that range from pepperoni to sundried tomatoes and everything in between. We also feature delicious pasta and sauce combinations, baked pasta dishes, seafood, and chicken and veal entrees. 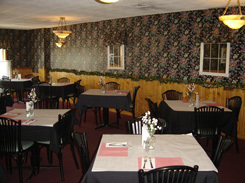 Aunt Bella's features daily lunch and dinner specials that are created and prepared using only the finest ingredients. Ask your server about our delicious specials today! We also feature a fantastic wine list. Our dessert menu is also not to be missed....so save some room! 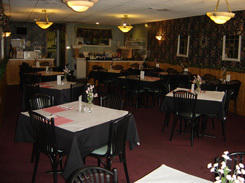 Aunt Bella's Italian Restaurant is also a delivery and home catering service. Choose us for your next social or business party! We have created two detailed catering menus for you to choose from. Sit down with a member of our staff and we will help you plan an event you and your guests will enjoy. Call to set up an appointment today!